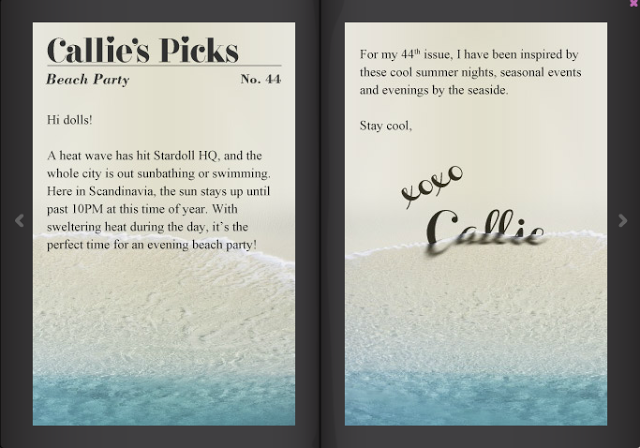 Hey dolls, the 44th issue of callies picks has been released, can you believe its been so many already? anyways, it’s absolutely gorgeous in my opinion and i love it and im jealous because it’s winter for me right now (although never colder than 12C and when it’s 12C we feel like we’re freezing), and callie mentioned it only getting dark at 10pm in scandinavia which I’m SO envious of because i remember when i was in the netherlands and I had super long days to enjoy the summer. First floor and I already love everything. The interior is f’ing beautiful and the second mannequin from the left to the right is absolute GOLD. Everyone is going crazy over it and I would go crazy over it too, and I WANT – no, NEED that skirt in real life because UGH. I also remember the ELLE dress, it’s cool that they brought it back, with the logo and everything some collectors that missed it will want it for sure. From the second floor I love the gray dress the most, and the silver bag, and the super long scarf. I also like the black dress but I think it’s a bit awkward, and I remember the bandage swimsuit perfectly though I think it will look better under a skirt or as a part of something else than as just a swim suit.